Hello, book lovers of the world I have a special treat today. 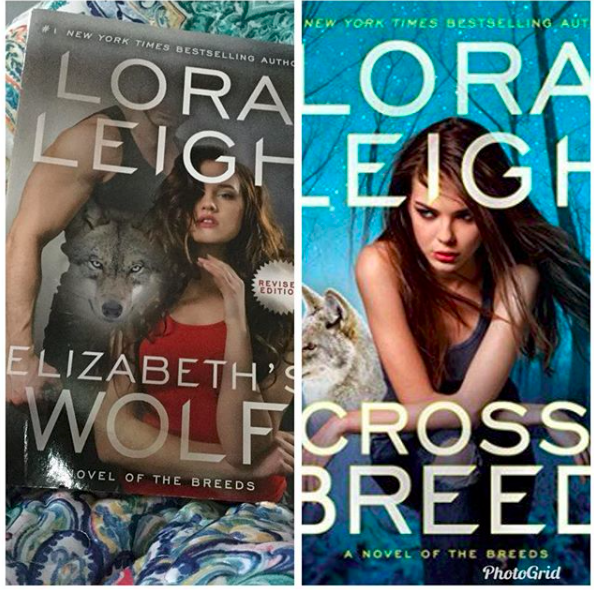 I get to talk about a book series I have love and read since I was 19 years old. This series is near and dear to my heart, I will never let it go. 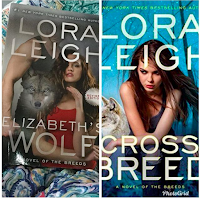 The series I am talking about is the Breed Series by the one and only Lora Leigh, and of Course, the book I am talking about is the one that Many will be talking about for a long time to come. Its Cassie Sinclair “CrossBreed”. Also, I want to hugely thank Berkley Publishing for this wonderful Net galley Arc. This Book will be available to purchase on September 25th, 2018. Now on to the summary and my final thoughts as always. 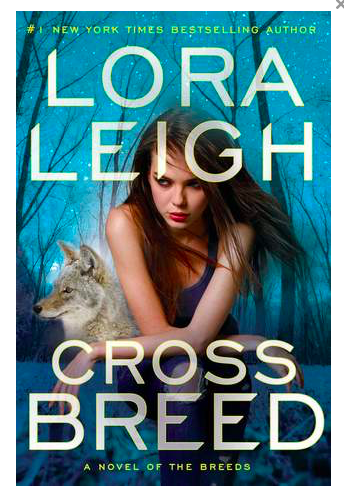 This book is about The one and Only Cassie Sinclair, the pride of every Breed Branch. But in this tale, we get to meet her mate. We also get to find out some pretty Interesting things, in general, about the entire breed world. I can’t lie We have all seen Cassie's type of Mating before in some of the previous characters relationships, in several of the books. But Now we get to really meet a grown-up Cassie. We get to see Cassie with her mate and her family as she develops a more mature sense of oneself. Old friends come together along with new friends to basically Change life as we know it. This is the Breed book you’ve all been waiting for and its one you will certainly want to read again and again. As for my thoughts, it is totally a five out of five stars. I had some hits and a missing moment with it. I had a missing moment with Cassie thoughts as a Mate. I felt like as a Breed lawyer, she would have had more Knowledge when it came to the mating aspect of things. But boy do I love the end, it's so bloody delicious. As for her Mate, well I feel like he is simply a distraction for the readers. He is not that big of a deal in the reality of everything (evil Smile). He is Cassie mate, he wants what is best for her but he is not the biggest Secret that this book keeps from you all. This story is made of secrets of all kinds. I also love the discussion in here about DNA which is coming from many different characters, not just one. I love how grown up Cassie becomes, it's not our little Cassie anymore. But I also love how Lora develops Cassie and gives her a complex breed adult personality. Cassie just really comes to understand more about her mate, her genetics and her life in the Breed world in my opinion. As for the rest of the book, it will take place, in a place that we all know but haven’t seen much of before. Old favorites will gain new information about themselves. Brand new people are coming into the light. We get more information on a few of the lesser known breeds especially Cassie Mate. We also find out who knew about Cassie mate before everyone else. Oh and the best of the best, a brand new baby is coming. This book is all about family, it has family everywhere. oh Did I mention, Secrets everywhere (grins). I only have an Arc and I have read this book twice already. I honestly just could go on and on about how amazing it all is and how lucky I am to have read it. I seriously can’t wait until you all read this book because in the end Cassie Mate, is not that big of a deal to me, it is so not. As always links below for the book, the author, and my social media. Once again, a huge thank you to Berkley for this Netgalley copy.